Apple iPhone XR Q&A: Ask us anything! We just got our hands on a snazzy yellow iPhone XR, the most affordable iPhone released in 2018. 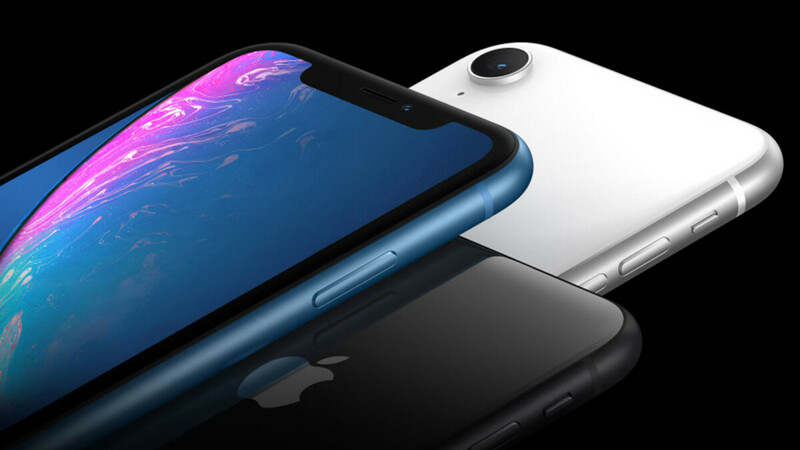 Sharing tons of features and hardware with its more expensive and premium brethren, the new iPhone XR is very likely to become a fan favorite of those users who are reluctant to upgrade to the iPhone XS or the XS Max but still want a taste of the iPhone experience. Even moreso for users of odler iPhones which are in need of an upgrade, because let's face it, the XR is just as snappy as the XS and XS Max, although clad in cheaper clothes. Do you have a serious question about the iPhone XR? If you do, feel free to ask us anything and we'll do our best to answer it to the best of our abilities in a separate post in a couple of days. Have in mind that troll questions and the like will be automatically ignored - let's keep this civil and informative for all parties involved. I'd like to know if it blends. ?? Old question, and we are all know it will. What made my man can destroy by man. Does 720p screen is really bad on a phone? No. As long as the pixel density is above 300. But it's greedy to have an 828p display on a 750$ phone. Yes, I find it rather uncool to pay 900€ (750€ + 150€ taxes) for this phone. The Max is just as much as X was last year so I think that is a way better deal. Do videos in general (Youtube, iTunes movies, etc.) are downscaled to 720p when watching at 1080p? Do letters looks blurry? No, letters won't look blurry unless you stick your eyes to the display. As it has the same pixel density as an iPhone 8. OLED panels built by Samsung needed 2k resolution to have the same quality as iPhone's LCD panels. OLED panels (S7e actually had less red and blue subpixels than the plus model of iPhone and Note 9 only has ~40 sppi more than XR, which makes them about equal in this aspect) need higher resolutions to be just as good - in dots per surface - as LCD panels. Xr's screen on time? How's the rear camera, on par with the older iphone x or in-between x and xs? Thanks. Sorry for the double post. Don't know why it happen. I have a 5S - it's still being updated but it's having some issues with iOS12 - would this be a good upgrade or should I hang in one more year? You shouldn't necessarily upgrade to this phone (nothing wrong, just saying), but upgrading to a new phone is a good idea in my opinion. I have a 5s, running iOS 12. What issues do you experience? I can dial the phone - the number doesn't ring then the phone crashes - I reopen the phone and it keeps happening. I have to power off and reboot it. Another is the battery will drain quick at times, I plug it into the charger and it immediately goes from 20% to 40%. Something is very odd. Wow, I don’t use the 5s for any calls (it’s got no sim) so I can’t try it. But the battery issue is an old one for Apple. They use “clocks” (in layman’s terms) to measure battery levels (it’s stupid actually), but when the battery isn’t up to par, those “clocks” mess up and when they correct themselves you see that dramatic jump. My takeaway from that is your battery is getting old. Might want to seek replacement. (I know it doesn’t help much - but that’s how I understand it). Hey, I’m from Brazil and I ordered an iPhone XR from Verizon, paid in full price. The phone comes unlocked, only with a Verizon sim and no sim ejector, right? I’m a little afraid hahaha. Is it 2.5x better than 290$(6+64gb) Poco F1. What a stupid comment. Why it has to be? I bought $3000 tv is it really two or three times better than tv priced $1000. No it's not but it's for sure better If you want very best and money is no problem. He’s as much of a troll as you, but it’s a legitimate question if you’re not married to a platform. If he wanted the very best he wouldn't be buying the iPhone XR. There's better Apple and Android phones on the market. I agree, this is one of two factors that’s killing my enthusasim for the XR (that and lack of 3D Touch). My iPhone X bezels still feel too thick even after half a year of use - i still notice them. 1. Are all 3D Touch features still there just in long press form, or some are missing? How do you control pressure when drawing, selecting text using cursor feature, peek and pop. Another example: long press on an app icon will let you delete/move it function, but forcetouch pops up sub-menu. How does that work on XR? Is there still that reassuring feedback from the Taptic Engine, is there a delay due to lack of 3D Touch? 2. XR Pixel arrangement vs OLED pixel atrangment. Are they still pentile or are they aligned - this is important as aligned pixels arrangement looks sharper then OLED pentile pixel arrangement. Just curious for arguments sake. 3. Bezel size comparison close up. I hope I get them all right. 1. 3D touch replacement system is a disappointment, it only exists in control center and lock screen; because I use it a lot and I find it to be a powerful feature, it means I won't be getting this phone. 2. XR is a standard LCD (2 sppi more than XS/Max). 3. It's huge (although I think I would have lived with it, if it had 3Dt). Thanks Leo, I use 3dtouch as much as normal taps now ss I discover new items that are granted forcetouch abilities. When I pick any of my old notes or iPhone 5s - using the phone without forcetouch (after you get used to it) feels rudimentary. How to the speakers compare to the Iphone 8/+, are they the same worse or better ? Whats the battery usage while streaming 1080p videos? Like how much it goes down in 20 minutes for example?